From Pflugerville, Texas, Barrs-Woods was a 3-year letterman and First Team all-district honors as a sophomore and senior. He committed to Oregon State University to play collegiately. 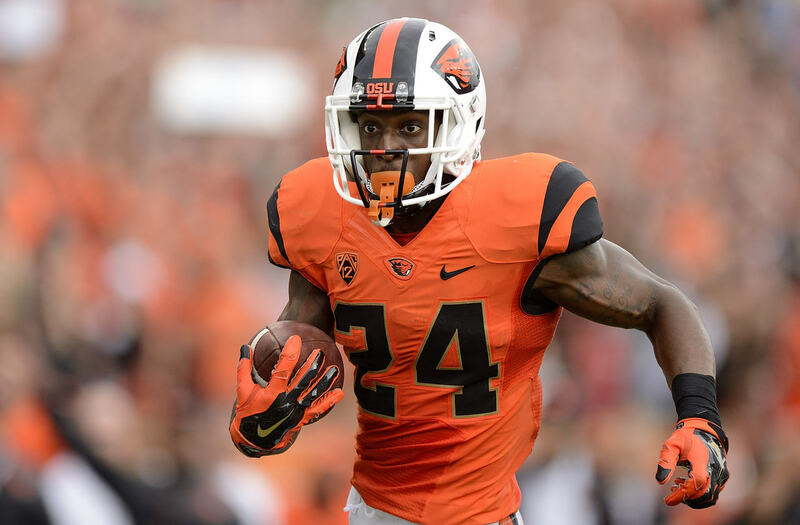 In 39 starts for the Beavers, the 6’0″ 197 lbs running back bar rushed for seven 100+ yard games in his career. He finished his career with 2,674 rushing yards, good for 5th all time in OSU history, and 123 receptions, 3rd most all time by a running back in OSU history. In addition, he is just the 2nd player in Oregon State history to accumulate 2,000+ yards rushing and 1,000+ yards receiving in his career, joining Jacquizz Rodgers of the Atlanta Falcons. Stone-Barrs was named to the Maxwell Award preseason watch list, Preseason Pac-12 3rd Team selection by Phil Steele and the Preseason Pac-12 4th Team selection by Athlon Sports. Undrafted due to injury concerns, Barrs-Woods received interest from numerous NFL squads. In 2018, he will join The Spring League to prove to scouts he’s fully healthy and ready to resume his rise to the NFL.